William D. Sewall generously donated the majority of the 91 acre preserve to KELT with several hopes. First, to guarantee future generations’ access to the land, to see the forest managed in an ecologically sensitive manner, and to protect wildlife habitat. Students visit the preserve in 2012 to create a digital interpretive trail. An additional parcel was purchased from his estate, this acquisition was funded by generous donations from Merrymeeting Bay Trust, Charles R. Niehaus Fund, William P Wharton Trust, Boston Foundation, Land Trust Alliance, Losum Fund and a bequest from Anne Badham. In the summer of 2006, KELT purchased a 26 acre parcel on the north side of Sewall Woods. 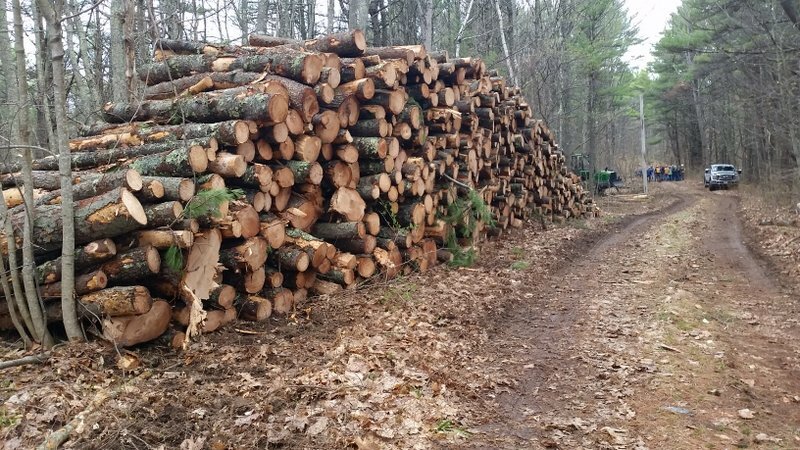 This purchase was made possible by funds provided by Maine Inland Fisheries and Wildlife and North American Wetlands Conservation Act Grants Program. The preserve is primarily a mixed species forest and includes over 2300 feet of shore frontage on Whiskeag Creek. The Maine Natural Areas Program lists Whiskeag Creek as an exemplary natural community. It is a brackish tidal marsh, a habitat type designated as rare in Maine. The intertidal zone of Whiskeag Creek is home to 10 species of listed rare plants (4 threatened and 6 special concern species) whose presence in Maine is only in these tidal, low salinity mudflats. This is an important feeding area for water birds and shorebirds and is frequented by bald eagles and osprey. Whiskeag Creek flows into the Kennebec River at Thorne Head, another property owned by the Kennebec Estuary Land Trust. The Kennebec River is an important feeding and breeding area for numerous species of anadromous fish including short-nosed sturgeon (federally listed as endangered), Atlantic salmon, shad, smelt, herring and striped bass. The overall goals of the Sewall Woods property are to protect vital coastal and forest habitats; provide a site for low impact, non-motorized recreation; preserve scenic beauty; and sustainable forest management. The ultimate goal is for Sewall Woods to be a demonstration forest where habitat protection, recreation, and forest management coexist and compliment each other. It will serve as a model for other landholders who want to attain a similar balance on their lands. Take High Street north out of Bath. Turn left onto Whiskeag Road. Enter through stone gateposts on the right for parking, kiosk and trail guide. View Map. Share what you see at Sewall Woods! Use iNaturalist to document the plants and animals you see while wandering through Sewall Woods’ trails. The observations you make will appear below, use the tool to check out what people have already recorded!